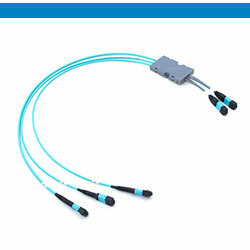 of high quality optical interconnect solutions. Miniature and detachable assemblies for card connections. any application tailored sensors for you. and turnkey projects to our clients worldwide. Solution for high fiber density and complex fiber routing challenges at on-board and card design & architecture. Compact and bespoke solutions providing flexibility and customisable fiber routing architecture. 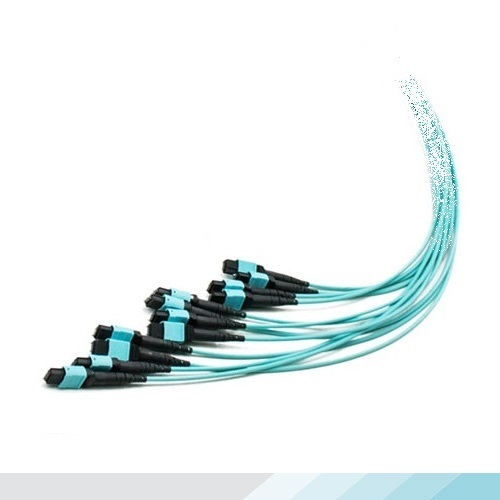 Factory pre-terminated trunk cables with Duralino fanout combined with MPO/MTP connectors offers complex high-fiber cabling for parallel connectivity. Advanced Nx12F/24F MTP trunks offers rapid and comfortable deployment in DataCentres, significantly redusing Total Cost of Ownership and Operational Cost. 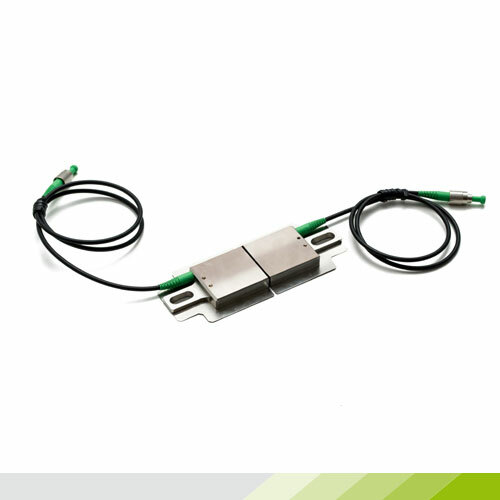 The low profile design of the PRIZM LightTurn connector allows for simple assembly on Avago modules and optimises air-flow. 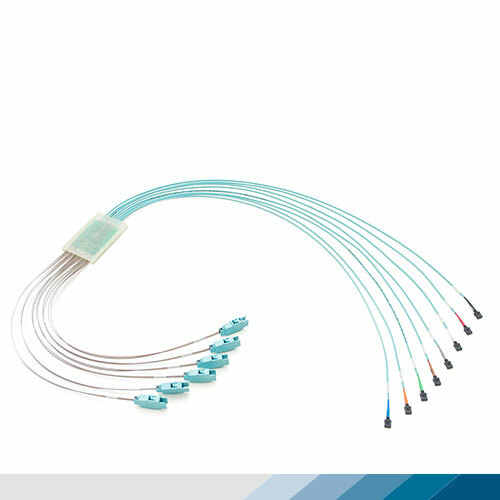 Designed as a miniature detachable connector for high speed, board mounted Avago MicroPOD and MiniPOD modules, it offers high I/O density directly on a PCB. 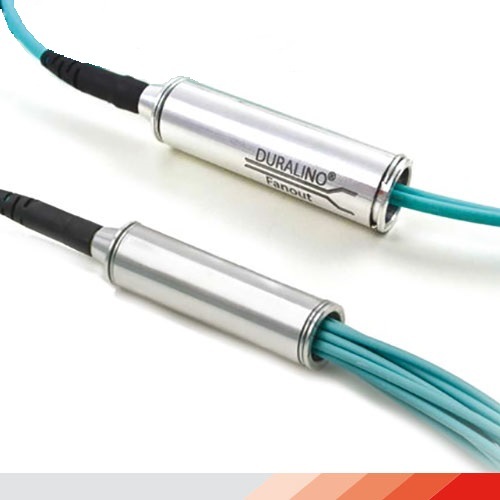 Factory pre-terminated trunk cables with Duralino fanout is the best option for you. 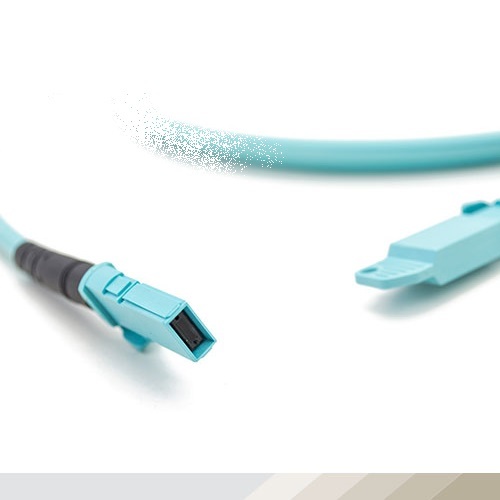 No matter if you need only few (4-12) fiber connection, or fully back-bone (up to 144-fiber) cabling. Unique design of the fan-out part gives you more possibilities how to set-up your installation – Duralino fanout is not limited to standard 900um or 2mm tubing. 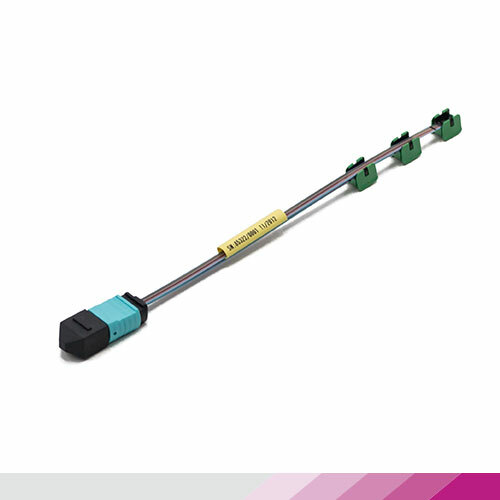 Range of items for deploying the complete back-bone link from one rack to another - pre-terminated FASTLINK cables, FASTLINK patchpanels and CORPULL pulling system for fast and effective installation. Fiber optic sensors and automated monitoring systems based on modernized FBG technology. Applicable for structural health and operational conditions of infrastructure objects within many industries, i.e. civil, geotechnical, energy or transportation infrastructure, chemical, oil & gas or process control and automation. 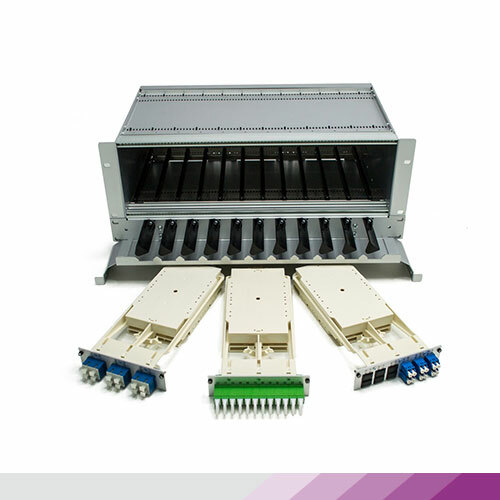 High-density carrier solution for both Telco and Datacenter projects networks with various installation options – either using MTP connections, pre-terminated modules or conventional splicing of pigtails. 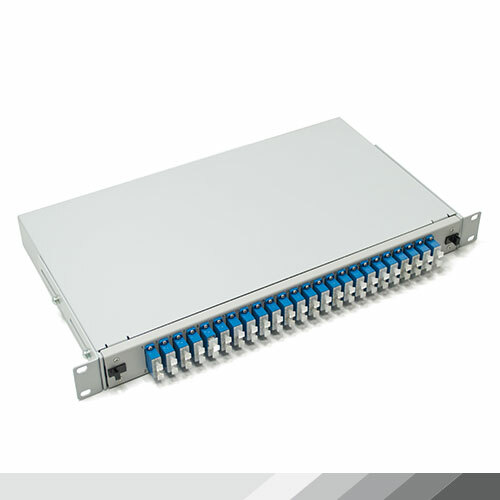 Carrier height either 1U, 3U or 4U, capacity up to 288 ports. Fully loaded patch panels, Din rail box, pigtails, patchcords. 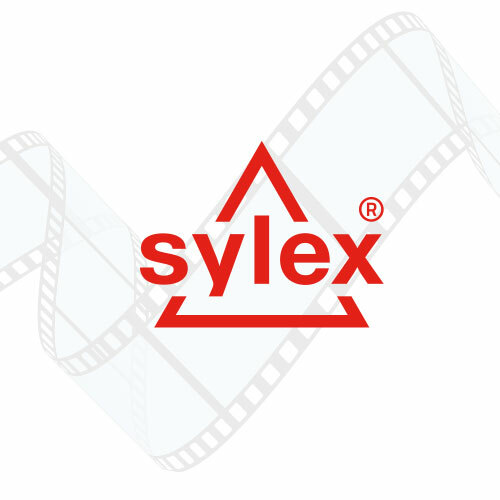 Company SYLEX, as a designer and manufacturer of fiber optic passive products, with strong focus on a quality and innovations has a number of satisfied customers around whole Europe and USA. 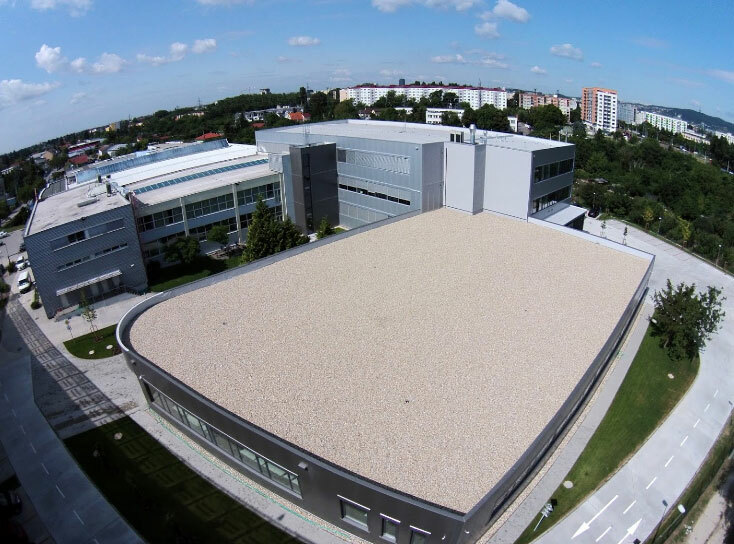 With high quality materials and technology, educated working team and strong customer orientation, we can be your valued and trustworthy business partner. Multifiber technology products (MTP fanouts, high-fiber count MTP trunks up to 12x12F and MTP modules) are the main solutions for DataCenter installing companies. Gain more drive on the market with our customization, contract manufacturing or private label cooperation. 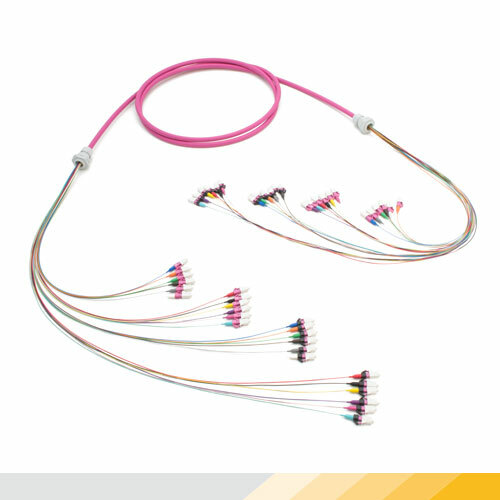 Since July 2011 SYLEX offers own manufactured fiber optic sensors and interrogators (read-out unit) typically used in Civil Engineering and Geotechnical markets. 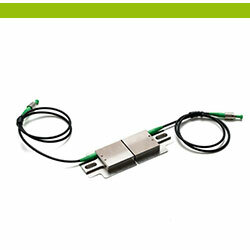 SYLEX sensing solutions are based on FBG fibers using unique DTG technology (Draw Tower Grating) applicable for strain, temperature, displacement, pressure, load, vibration and soil deformation measurements. Would you like to get from us information updates?